Let us handle your business card, brochure, yard sign, and other printing needs! 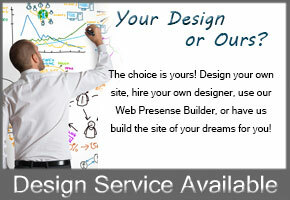 We can develop a brand new website design to maximize your online presence. 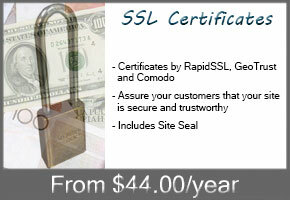 Since 1999, we have hosted thousands of websites for customers around the world! At Wright Web Works, helping small businesses, entrepreneurs, and non-profit organizations is our passion! We provide all of our customers with a personal service that you won't find at those big companies that advertise on TV. We offer a wide range of services to help market your business or organization both on the web and in print. On the web, WWW has helped hundreds of website owners establish, maintain, and grow their online presense. We believe that a website is a window through which the entire world can view your organization. A successful website will show the world that you have a professional organization that is serious about achieving its goals. It must have a clean, easy to use navigation system and should provide accurate, detailed information. Perhaps most important, your website should work for you, not the other way around. Whether you are looking for a top-notch business website, an online store, or a simple site about you, WWW can help. Do what you do best. Leave the Web Stuff to Us! In print, we offer a variety of products to help market and advertise your organization. From basic business cards and brochures to postcards, notepads, and yard signs, we've got you covered. You'll find quality products at competitive prices shipped quickly, direct to your door! If you already have a design, we may be able to print it for you. No design yet? No problem! We can also help by designing a promotion for you using any of the stock and products that we sell.